I have known Dustin and Kathryn for a while. Kathryn and I were in the same grad school program, only she was a year ahead of me in the program. However, we also worked at the same school together for a little bit, her as a school counselor and me as a teacher. She was a person that I could go to for questions while I was in grad school and overall has this heart of gold that is just so pleasant. 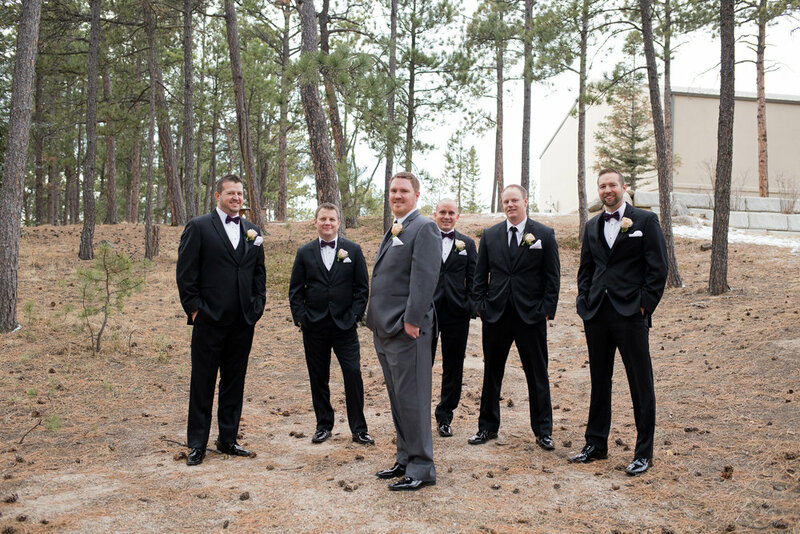 I had met Dustin at her sister's wedding, and seeing Kathryn and Dustin together; they were just perfect. They laughed, the talked, and they genuinely enjoy each other's company. 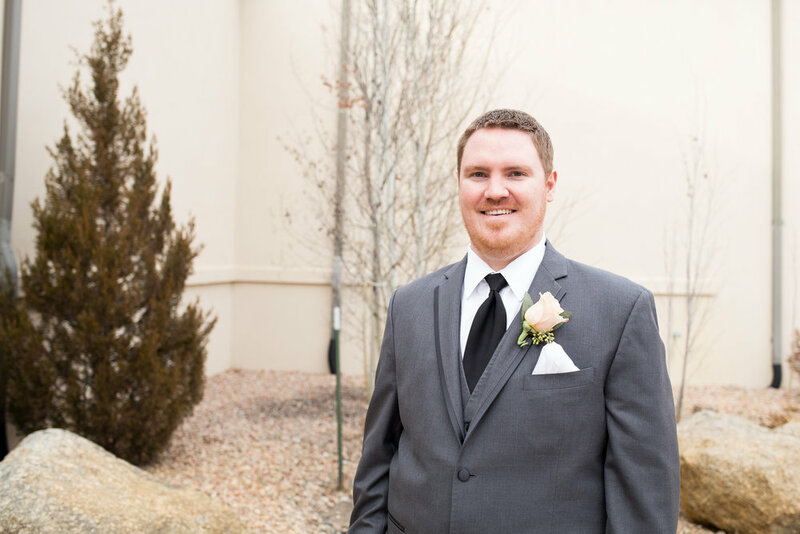 It was later that I asked them both to be a part of a mini styled shoot so that I could try some new style of photography and posing, which ended up being this gorgeous surprise engagement sessions at Garden of the Gods park in Colorado Spring. The surprise engagement was just perfect. It was delightful, fun, and heart-felt. 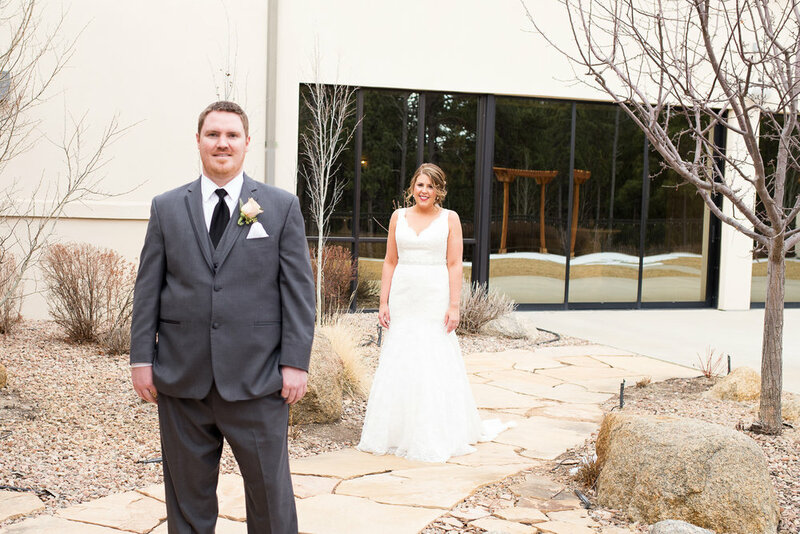 I was also honored to meet the couple again for their engagement session at Rock Ledge Ranch. Again, their love and admiration for each other was certainly apparent and true. To be able to work with a couple so laid back, sure of each other, and happy to be in each other's company was like a dream. 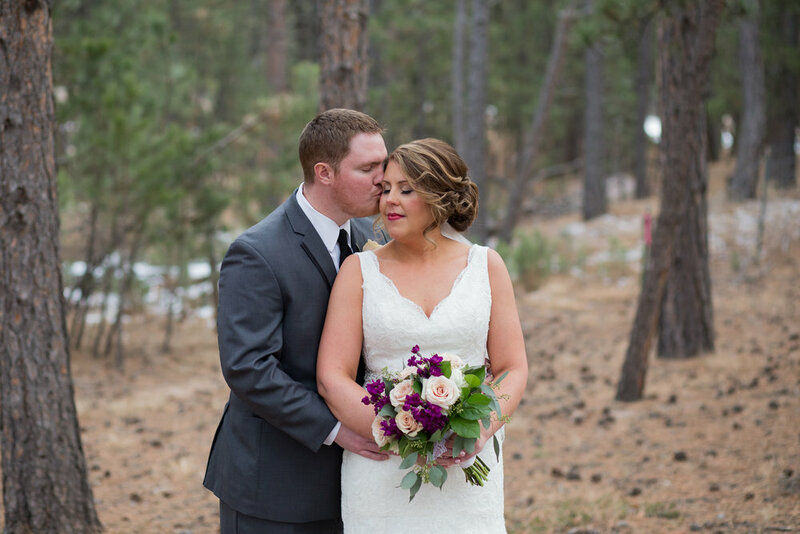 Kathryn and Dustin did a fantastic job of planning their winter wedding at the Wedgewood at Black Forest in Colorado Springs, CO. 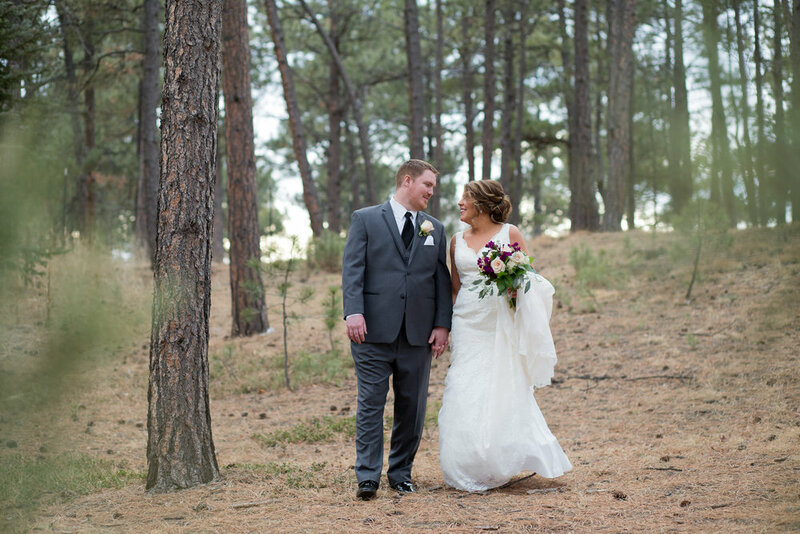 It was a beautiful location among the tall pines, with a comfortable and cozy chapel, and never-ending night of fun at the reception. 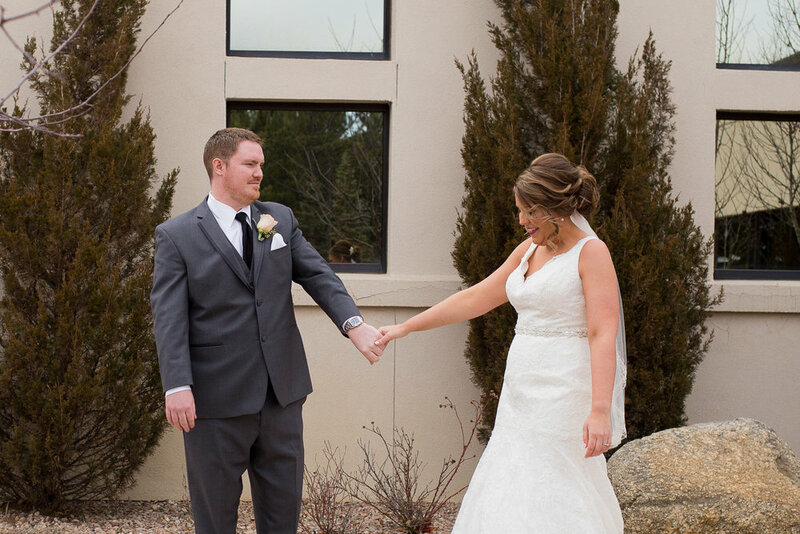 For being aw inter wedding, we also had some of the best weather we could have asked for. 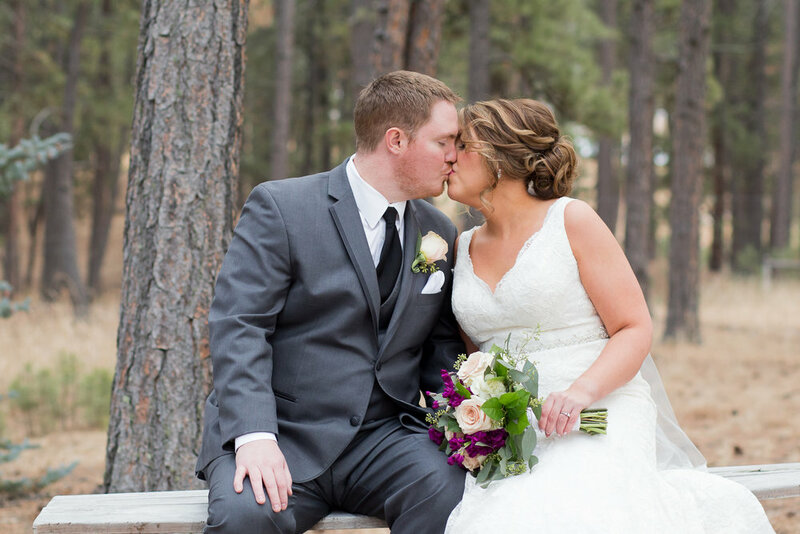 Just like both of the other sessions that we did together, their wedding day was no different. If anything it was even more of a testament to how perfect these tow are for each other. 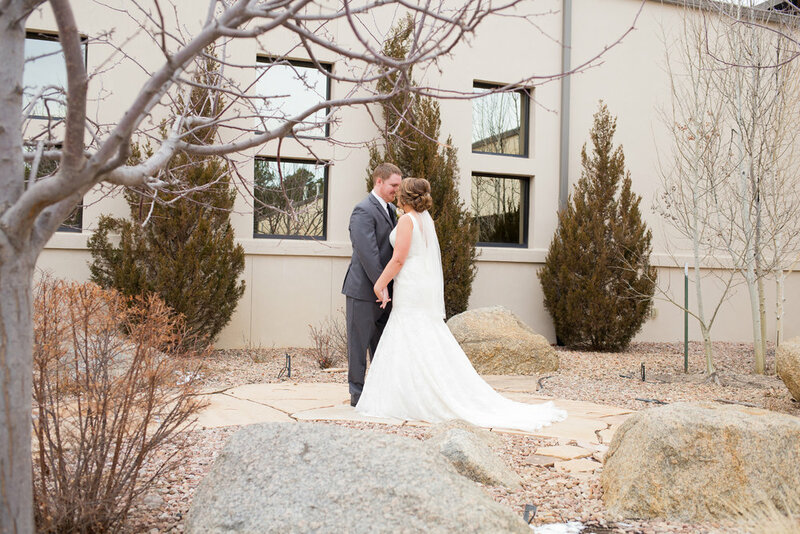 Their friends and family alike had many kind words to say about the couple and how they are a great match. 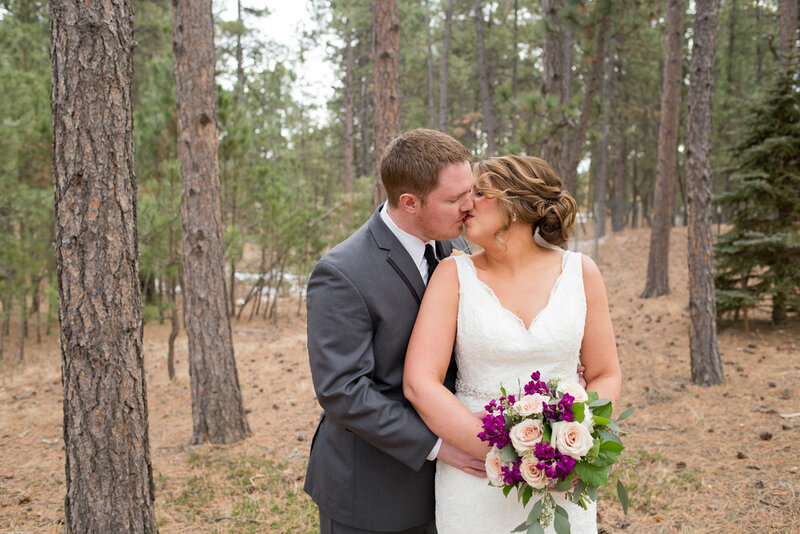 Kathryn and Dustin looked wonderful, and I am so happy for their marriage to their best friend. That's the way it should be. Putting together a celebration of two perfect soul joining for a lifetime. 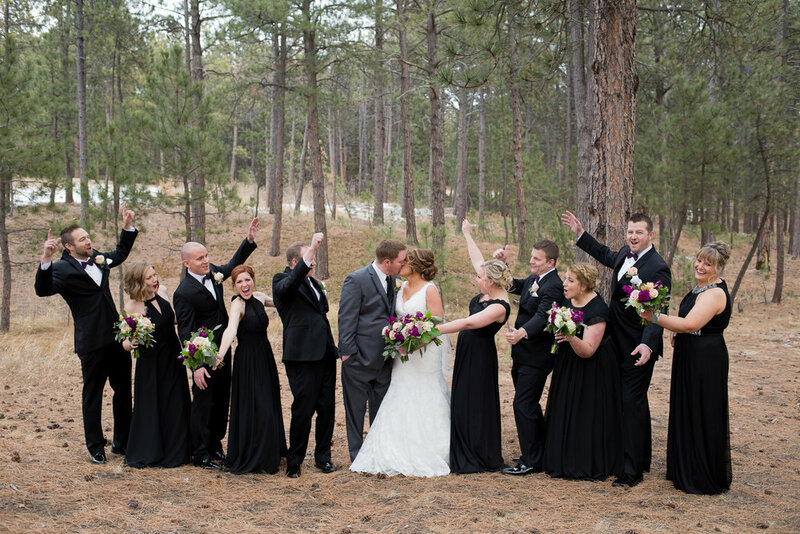 Everyone had a great time at Dustin and Kathryn's winter wedding at Wedgewood at Black Forest in Colorado Springs. 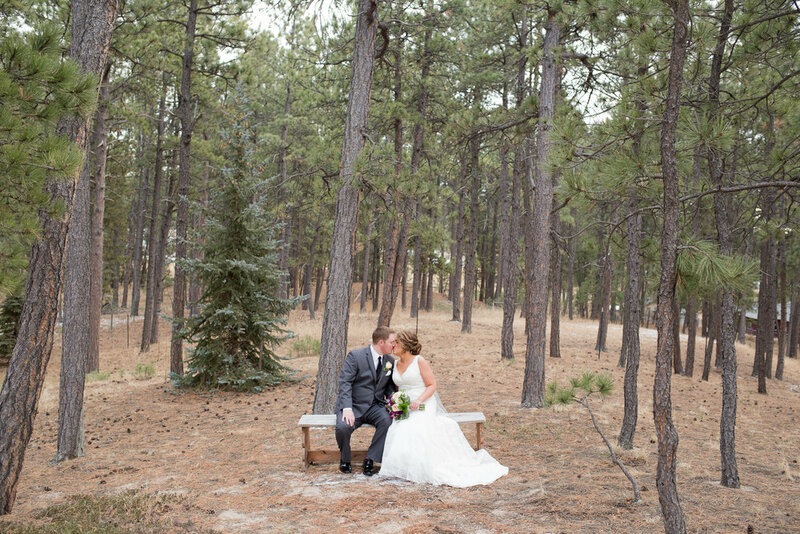 Besides the gorgeous photos among the tall pines, this is one of my most favorite photos from their wedding.